Usually rendered as “Holy infant so tender and mild” in English – who is not familiar with these lines from the well-known Christmas carol “Silent Night! Holy Night!”? In 1816 Joseph Mohr, who originally composed the text as a poem, was working as an assistant priest in Mariapfarr in Salzburg’s Lungau district. Two years later the inaugural performance of “Silent Night! 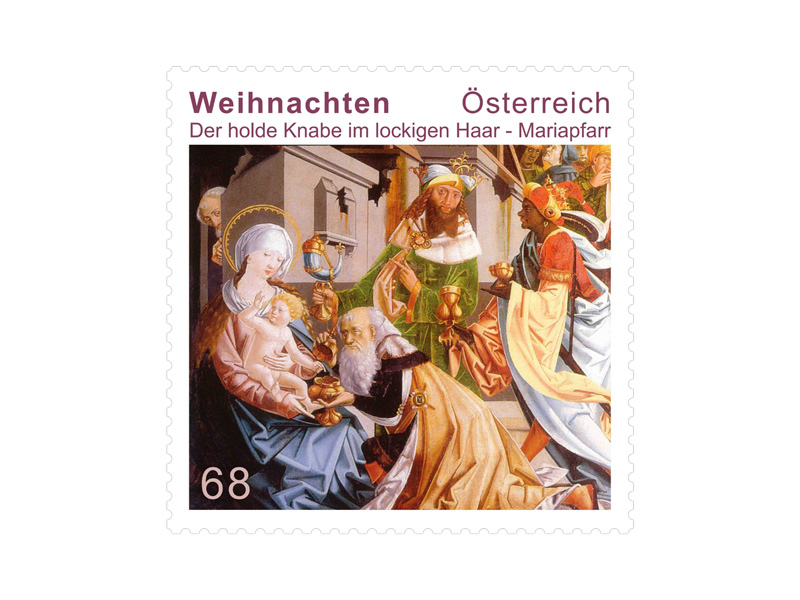 Holy Night!” was given by him and the teacher from Arnsdorf Franz Xaver Gruber, who composed the melody, on 24th December in Oberndorf. However, Mohr had already written the text in 1816 in Mariapfarr. Here there are some panel paintings hanging in front of the altar in the parish church, one of which shows the baby Jesus with an exceptionally full head of hair. In this painting the three wise men are worshipping the newborn child and bringing him gifts. The impressive colours in the painting lend their garments a particularly opulent appearance. Joseph can be seen, almost hidden away in the background, whilst Mary humbly lowers her gaze and the baby Jesus is turned towards her. Like the other seven panels, this painting, which may have been the source of inspiration for Joseph Mohr’s famous lines from “Silent Night! Holy Night!” came from a Late Gothic high altar in the church. The paintings are arranged as a fixed winged panel, with an everyday and a feast day side. 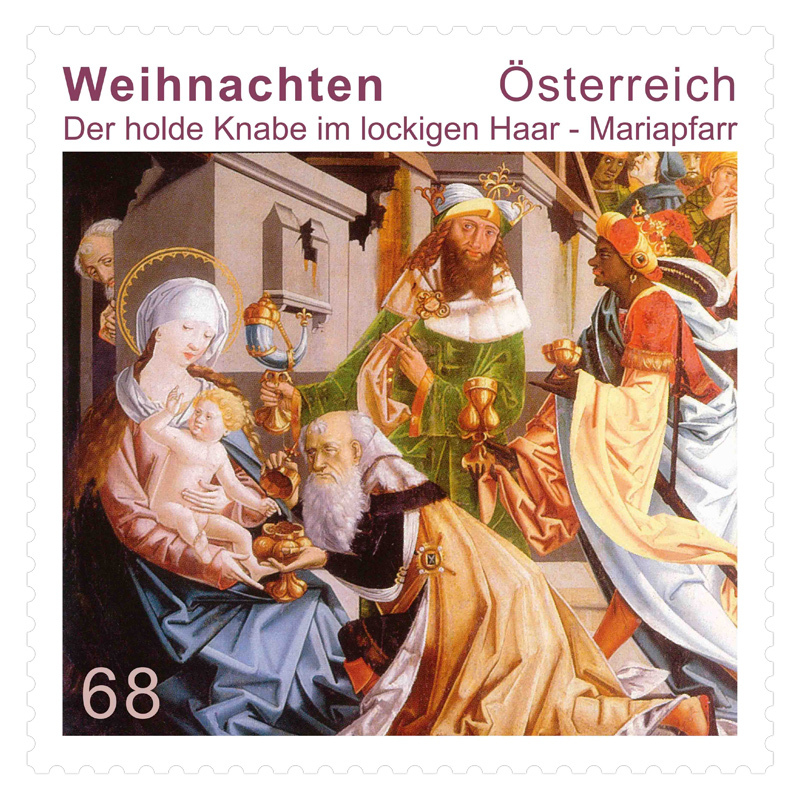 Nowadays the feast day side is permanently on display, with the homage of the three wise men being one of the images featured. All eight panel paintings shows scenes taken from the life of Mary: the annunciation, her death, her coronation as well as the meeting at the Golden Gates, her birth, her visit to the Temple, her marriage and the homage from the three wise men. According to the church pamphlet (“Christliche Kunststätten Österreichs”), the paintings are accredited to an unknown Styrian master and date from around 1500, although a possible connection to the “Master of Mondsee” is also mentioned here. Other sources accredit the works to a master from the Danube School, and the names Erhard Altdorfer and Jörg and Erhard Breu are mentioned as the creators – as you can see, the painting’s provenance cannot really be determined. The pilgrimage church of Mariapfarr, the church of Our Lady, the oldest portions of which probably date from around 1220, was recently comprehensively renovated and now gleams with a new brilliance. At present a decision from the Vatican is pending as to whether it can be elevated to the status of a cathedral. Pilgrimages to this church have been known for many centuries; they are documented in written sources from the 14th century. Of particular importance are the richly carved St. Anne altar and the St George altar as well as the Roman and Gothic frescoes which were uncovered in 1946. The parish church of Mariapfarr is considered the original and mother parish of the Lungau region, as a result of which it is held in high esteem, and this is probably also why it has an unusually large number of relics, liturgical equipment and votive offerings.